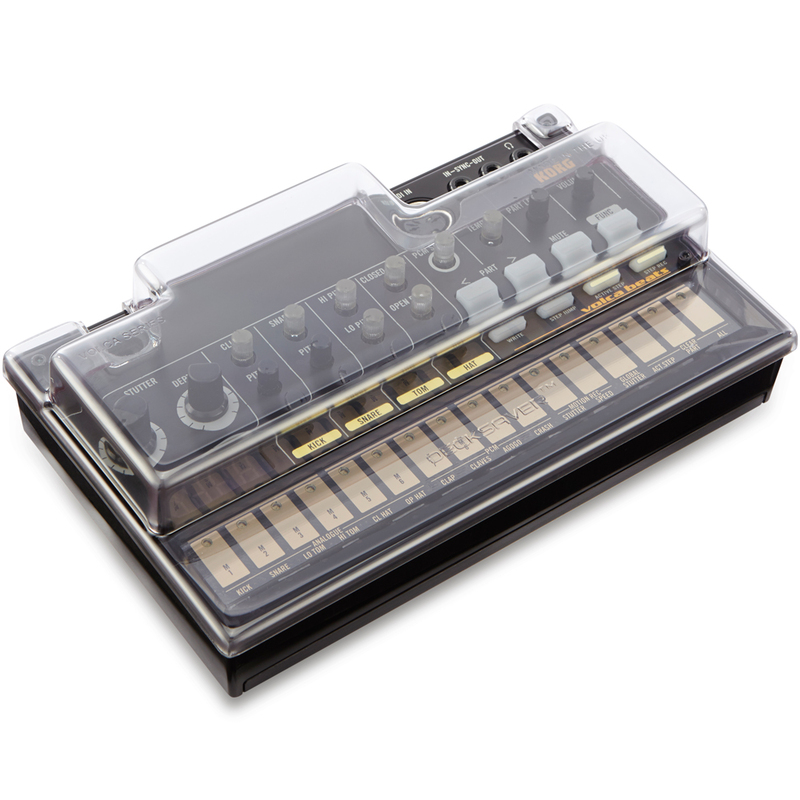 The Korg Volca Keys is a 27-key polyphonic analog synthesizer, ideal as a beginner’s synth. 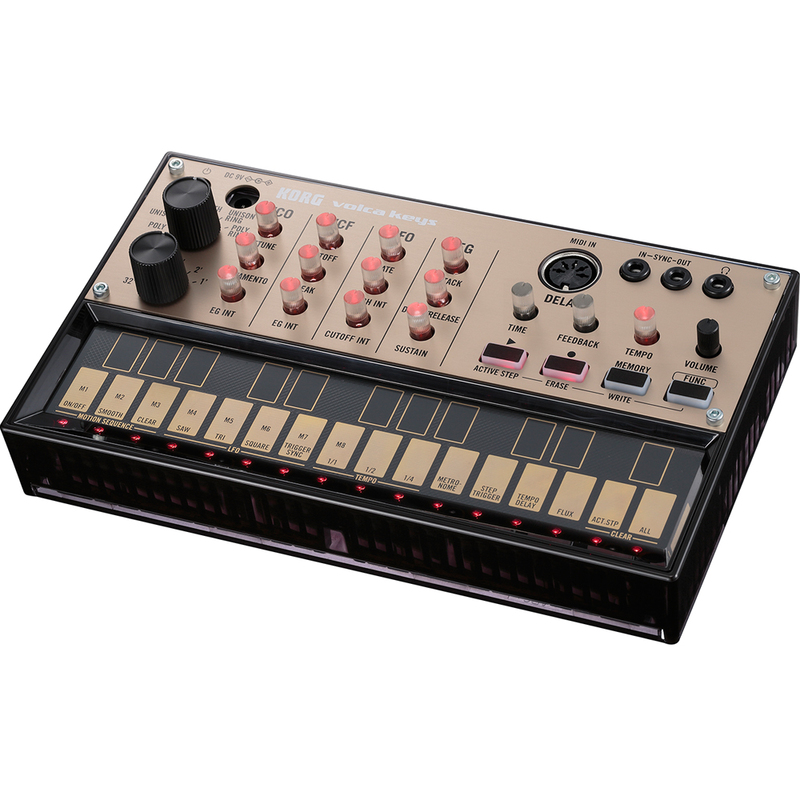 Part of the Korg Volca series, along with the Volca Bass synthesizer and the Volca Beats rhythm machine, the Volca Keys is powerful, fun to use, and delivers a diverse array of fat sounds. 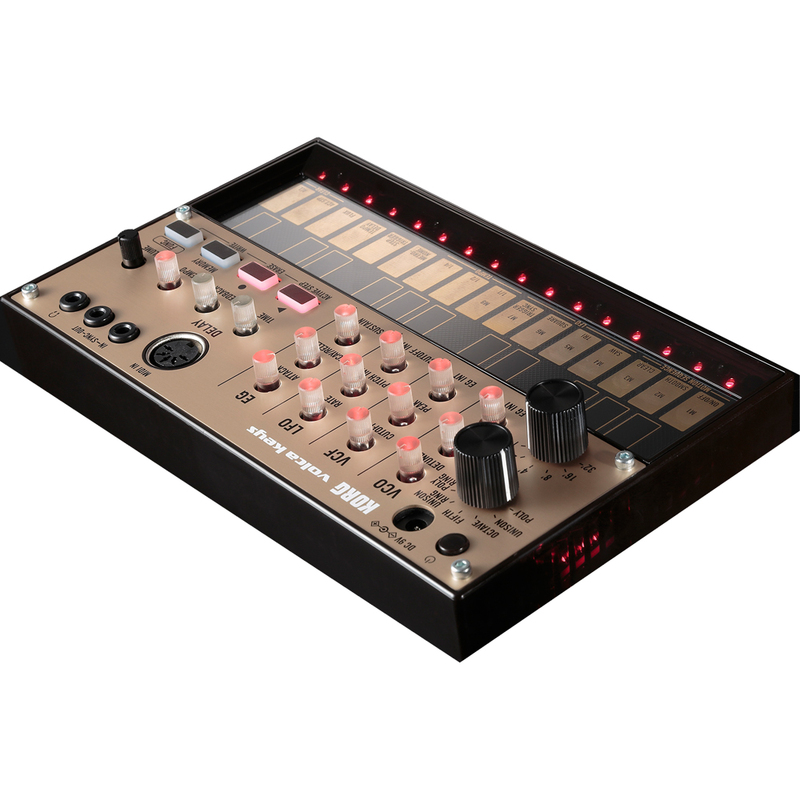 Equipped with sequencing/recording capabilities, it can be used together with multiple Volcas or with a monotribe via the sync in/out, and with your favourite DAW software or MIDI keyboard via MIDI IN. Battery operation and built-in speakers enable you to play anywhere, anytime. You can send note messages from your DAW and use the Volca as an analog sound module, and use the "SyncKontrol" iPhone app to wirelessly control tap tempo, swing settings, and synchronized playback with iOS music apps via WIST. 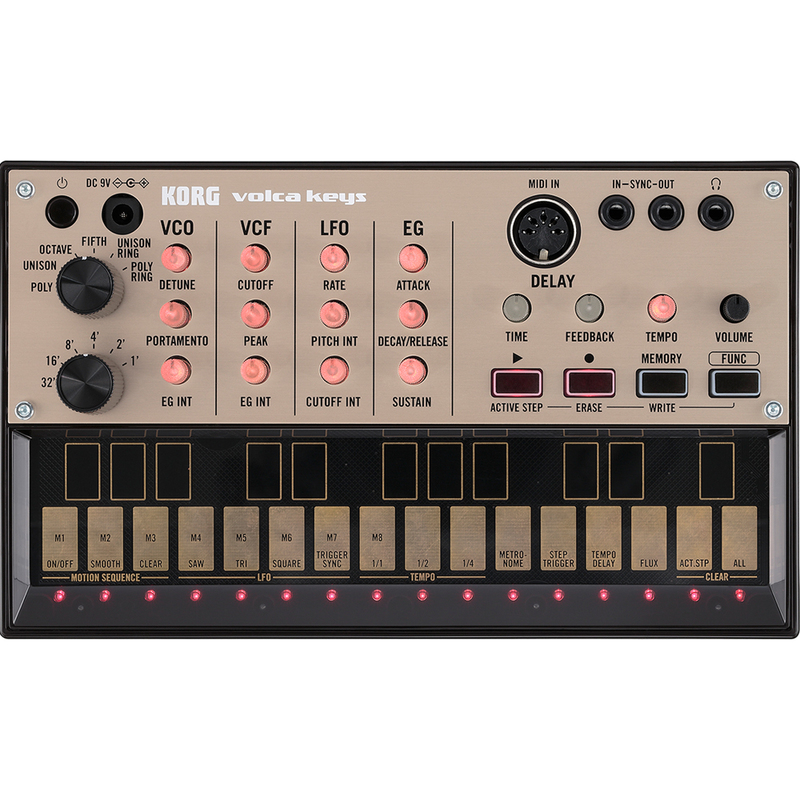 Whether used with the Volca series or on its own, The Disc promises you that the Volca Keys will inject power into any performance or studio setup. Use the three oscillators to play chords; with detune to produce solid lead lines; or with ring modulation to create far-out metallic sounds. Voicing function specifies how the three oscillators will be combined - turn the knob to choose one of six combinations: Poly, Unison, Octave, Fifth, Unison Ring, or Poly Ring. There’s also a delay effect that's great for creating spacey synth sounds and reproducing the pitch change that occurs when you change the delay time on an analog tape echo unit. A loop sequencer with up to 16 steps allows you to record your performance on the touch panel keyboard as you play. You can also use overdub recording to produce complex loops. Up to eight sequence patterns can be stored in internal memory. The Motion Sequence function lets you record knob movements and apply time-varying changes to your sound that will enhance your loops and add originality to your live performances. Add dynamic change to your sequences - Active Step lets you skip a step during sequence playback and creates effects similar to a short loop or unexpectedly irregular rhythms, whilst Flux function allows you to play back the phrase without quantizing the steps, producing a loop with a distinctive sense of groove. The Self-tuning function constantly tunes the oscillators so that the pitch doesn’t change with temperature or the passage of time. You'll never need to tune during a performance, or wait for the pitch to stabilize after turning the power on.